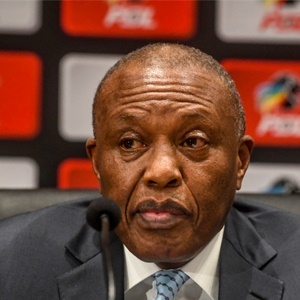 Cape Town - Premier Soccer League (PSL) chairperson Irvin Khoza has called an urgent press conference for Tuesday, April 9 where it is thought he will address the Mamelodi Sundowns and Wayne Arendse situation. Sundowns are potentially facing a points deduction for using the ineligible Arendse in a league match last year. The defender was not initially named in the match-day squad to take on Wits last October, but was later added when Thapelo Morena was injured in the pre-match warm-up. Adding a replacement after the team sheet is submitted is against National Soccer League regulations. The Brazilians were found guilty of the offence, although controversy arose as it took nearly six months for a verdict to be reached. As such, it seems Khoza will address the situation and could possibly announce the sanction imposed on the 2016 African champions. The last time an 'urgent' press conference was announced it was to make a statement regarding the Independent Communication Authority of South Africa's plans to change broadcast regulations. The conference is set to begin from 11:00 on Tuesday.